This August, researchers led by Prof. Yusuke Nakamura at the University of Chicago will begin clinical trials to assess the safety and efficacy of a new drug which targets and destroys cancer stem cells. The drug, which was developed in Japan, is expected to be put into practical use in the U.S. within the next four to five years. 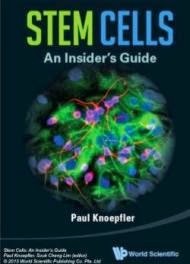 A cancer stem cell is the prototype of various types of the disease, growing and replicating itself to spawn other cancer cells. As it is difficult to destroy with existing treatments, the stem cell is a major cause of relapses. While working at the University of Tokyo, Prof. Nakamura performed an exhaustive search for a gene that was active only inside cancer cells. He searched for an active protein found in cancer cells in various organs, including mammary glands, lungs, prostate glands and the pancreas. The protein he sought and eventually isolated also played an important role in maintaining the cancer stem cell. Onco Therapy Science, Inc., a pharmaceutical start-up in Kawasaki, developed a drug to suppress the activities of this protein. In mice with human cancer cells, the drug stunted proliferation of the cancer stem cells, and cancer cells shrank. The clinical trials will be conducted by the company at the University of Chicago. The safety of the drug among other factors will be studied by administering it to cancer patients. “Ten years after we started the study we are finally about to see results. Japan was a latecomer in the field of cancer drug development and suffers from an excess of imported pharmaceutical products. We hope to put this new drug, which was originally created in Japan, into practical use in the United States, where screening takes less time.” said Prof. Nakamura.